Where To Bet on the World Series of Poker - Casino Answers! When it comes to sports betting you can bet on practically everything. You can bet on the WWE, you can bet on Eastern German Handball, and of course – you can bet on the World Series of Poker. The best place to bet on the World Series of Poker is without a doubt Bovada. 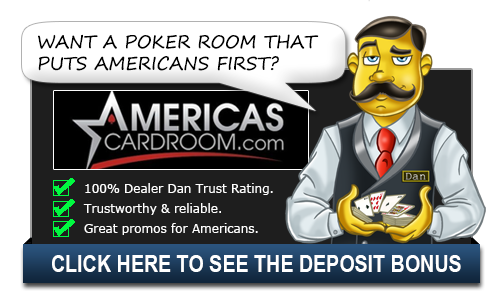 They are famous for the variety of World Series of Poker bets that they have available. They don’t have the lines up at the beginning of the World Series of Poker, but as the WSOP goes on, Bovada adds a variety of special prop bets for the gambler. Bovada will usually offer prop bets on special players like Phil Hellmuth, Phil Ivey and Daniel Negreanu. They will also offer odds on who will win the main event, and you can bet the field or take one of the listed pro players. Bovada will usually have special WSOP prop bets on their own team members Evelyn Ng and Amanda Musumeci too. For example, right now you can place a bet on whether either of them will cash in the main event of the World Series of Poker. Based on the odds, this bet is basically free money. While betting on an individual poker player can have huge odds, it’s not always a smart bet. Someone like Phil Ivey or Daniel Negreanu can enter into the World Series of Poker Main Event with odds of +5000. The odds of them getting to the final table, even despite their immense talent, are immense and that isn’t always a very good bet. They have to play against thousands and thousands of players and the odds of them outlasting everyone are not in their favor. Getting past the first day is a lot more luck than anything when it comes to a tournament of this size. So while a bet like this could pay off very well for you, it is not always the smartest to make before the tournament actually starts. A fun bet to do for the World Series of Poker is a prop bet. Players can bet on the age of the winner as an over under. So in 2018, the over was set at 28 years old. The odds were -120 for age 28 and under and -120 for age 29 and older. The winner in 2018 was John Cynn who was aged 33 at the time so it was an over. Another interesting prop bet is where you can bet on the winner’s home country. The United States was a -150 favorite in 2018 followed by Europe at +205, Canada at +400, Central America at +900, South America +900, Australia +1200 and the field +900. 2018’s winner was an American. So be sure to bet on the World Series of Poker at Bovada. The past few years have been dominated by Americans, but we have seen a winner from Denmark (Peter Eastgate in 2008), Canadian winner (Jonathan Duhamel in 2010), German winner (Pius Heinz in 2011) and a Swedish winner (Martin Jacobson in 2014). The final table always seem to feature at least a couple of players from non-US countries.